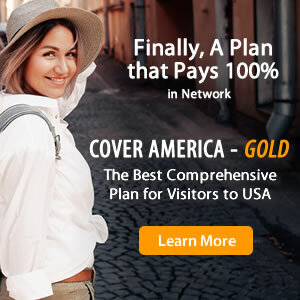 When it comes to traveling abroad, any unexpected mishaps can easily occur, which is why it is extremely important to ensure that you are adequately protected with a travel medical insurance policy and ChoiceAmerica and VisitorSecure are two plans that may catch your eye during your search for proper protection. At a glance, these plans may appear to be very similar, but in reality, they are actually very different. In order to identify the plan that is best for you and your individual travel needs, you must first understand their differences. Must be purchased within 30 days of arriving in U.S.
Must be purchased within 3 months of arriving in U.S. Example: If you have a limited coverage policy with a limit of $400 for ambulance services, which costs about $2,000, then you have to pay the difference – a liability of $1,600.